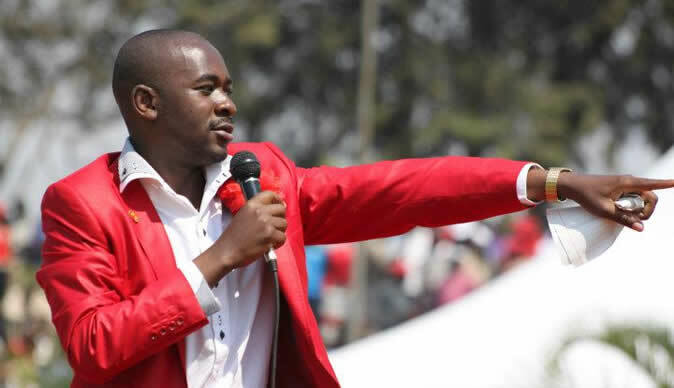 THE Nelson Chamisa-led MDC-T will today hold an explosive national council meeting amid reports that the indaba could be used as a witch-hunt against party officials accused of fanning indiscipline, divisions and insubordination. This came at a time when there was debate within the party over the status of the MDC Alliance, where some were of the view that it should be disbanded, while others want the alliance to become a fully-fledged political party. It is understood that the indaba will focus on key contentious issues that could define the future of the main opposition party going forward. These include the future of the MDC Alliance, which failed to dislodge President Emmerson Mnangagwa from power in the July 30 elections, despite a spirited fight by Chamisa in the presidential race. NewsDay also heard that the meeting would focus on the threat to the existence of the opposition alliance and the divisive elective congress next year, with reports that Chamisa's potential challengers were already finding it "tough" to survive in the main opposition party. Chamisa's spokesperson, Nkululeko Sibanda said his boss called for the national council meeting to take stock of all the party organs and chart the way forward. "One thing that is very clear is that we received credible intelligence that Zanu PF is planning to destroy the party in the next six months and they are throwing these stories just to cause despondency," Sibanda said. "But they don't realise that president Chamisa has not just build the party in the last six months, but has built a movement. A movement survives every onslaught." Although some party officials told NewsDay that the national council would likely discuss the suitability of potential challengers to Chamisa's leadership mettle, party chairman Morgen Komichi flatly refuted reports that some top officials could fall by the wayside after the meeting. This also followed reports that the stage had been set to purge secretary-general Douglas Mwonzora and his purported loyalists from the party. "What is happening now is that we are going into a season of internal democracy and there is a group of leaders that does not want Chamisa to be contested," a senior official said. "By the time we go to congress, all those that are seen to be harbouring ambitions will be gone. We are preparing for a bruising fight and for our secretary-general [Mwonzora], it will be hard because there are people around Chamisa who feel threatened and are pinning him over his endorsement by Zanu PF's war veterans." But Komichi said today's meeting would be a post-mortem of the elections and map the way forward. He said that Mwonzora and others that were viewed as against Chamisa were not on the agenda. "I haven't heard about that and we don't have complaints against him," he said in reference to Mwonzora. Mwonzora himself is on record dismissing the "divisive" agenda linking him to leading a faction trying to wrest power from Chamisa. There were reports of sharp differences within the MDC Alliance over the distribution of seats in the recent election, which resulted in multiple contestants in several constituencies. The MDC Alliance principals have not met since the elections, further fuelling speculation that all was not well in the coalition. "We haven't met, of course, after the elections, but we are communicating and working on the issues of the electoral challenge. It was hectic. We are going to keep the alliance alive," Komichi said. He also said there was a possibility of forming one major party. MDC Alliance spokesperson Welshman Ncube weighed in, saying the alliance was well in place. He said they had a written agreement to work together. "The alliance has Members of Parliament which the alliance has to manage and direct on how to do their work in Parliament in the next five years," Ncube said. "The alliance has councillors and it has responsibility to provide leadership in those councils. Everyone who won at whatever level won on the ticket of the alliance. The alliance, therefore, has all these people who are the responsibility of the alliance." He said the alliance had learnt the importance of unity and working together. "Obviously, there will be future elections in 2023," Ncube said. "The alliance in whatever shape or form will obviously be in those elections." He said while the alliance principals had not met as yet since the elections, they, however, kept in touch and made decisions jointly through teleconferences to discuss issues such as election petitions and Press statements.